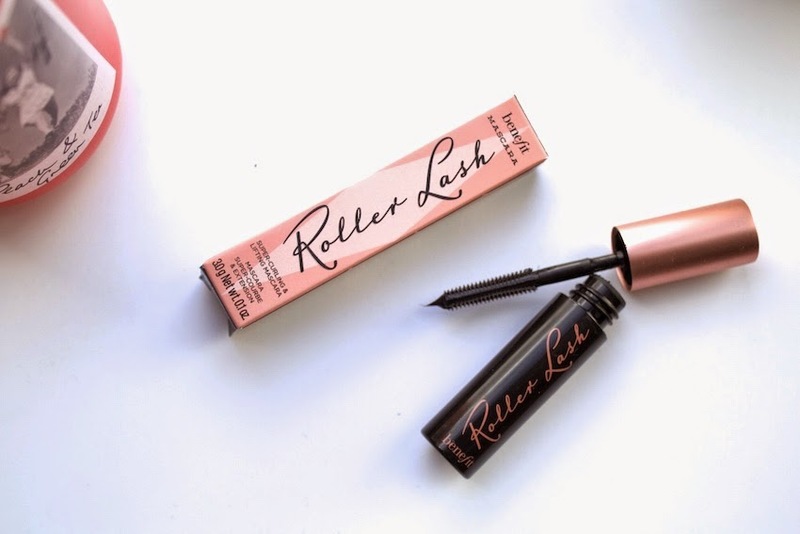 BENEFIT'S ROLLER LASH MASCARA || REVIEW | RAWR BOWS. Hello! I recently did a haul where I featured Benefit's newest mascara, the Roller Lash Mascara. It was first launched with Elle's magazine in February but it's now available to buy in store. It retails at £19.50 which is a normal price for Benefit. This mascara is meant to not only lengthen and darken your eyelashes but to curl them as well. I find that, even though it doesn't give the same results as an eyelash curler, it does curl them and my eyes look more open whenever I use it. Other than that, I find it very similar to the They'Re Real mascara. It makes my eyelashes quite longer and thicker and also it lasts on all day and doesn't smudge at all. Although it doesn't claim to be waterproof it might as well be as you will need an eye make up remover to get rid of all the product. Overall, I do really like that mascara and I might buy it when this sample dries out. The only thing that puts me off is the price, as almost £20 is quite pricey for a mascara. Have your tried any Benefit mascara? did you like it?